The Vancouver Condo Buzz » CENTRALLY LOCATED Vancouver Northwest Condos by Onni at Marine & Cambie Now Previewing! From high $200’s! 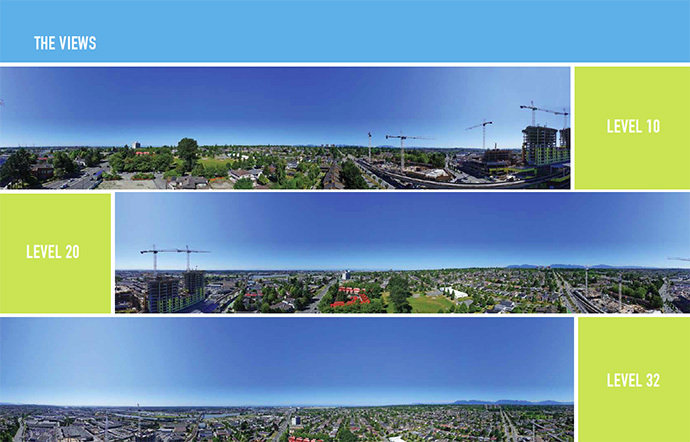 Looking for a centrally located, transit oriented, master planned community in the heart of Vancouver? Only looking in the West Side but want to purchase a new and affordable condo? The new Vancouver Northwest condos at Marine and Cambie is the top project for Fall 2014! Presales are expected to launch September 2014 with an estimated completion date in mid 2017. Only 20% down payment through several payment dates are required to own here at the presale Vancouver Northwest Condos by Onni. In addition, parking is included with your purchase except for select one bedrooms. The price point for the new Vancouver Northwest Condos by Onni starts from the high $200’s for one bedroom floorplans, mid $400’s for two bedroom suites and the high $600’s for spacious three bedroom family sized residences. Here are some of the outstanding features for home owners: high efficiency heating and cooling for year round temperature control and indoor comfort in addition to roller blinds on all exterior windows for added privacy. As well, all homes will feature contemporary wide plank laminate wood floors through the main living areas in addition to plush carpet in bedrooms. There is custom flat panel wood cabinetry with soft close mechanisms and premium drawer interiors in both the kitchen and bathroom. The closets at the new Vancouver Northwest condos for sale will be outfitted with built in millwork closet organizers. The kitchens at Northwest Condos at Marine & Cambie Vancouver West Side include 1.5” double nose composite stone counters in both the bathroom(s) and kitchen in addition to a high performance and high-end appliance package including: integrated fridge and dishwasher, stainless steel gas cooktop, convection wall oven and microwave hood fan. Other kitchen features include a spectacular marble tiled backsplash in addition to a stainless steel under mounted sink with garburator. The primary bathrooms at the presale Vancouver Northwest by Onni condos will feature marble tiled flooring with NuHeat heated floors (that’s awesome!) and there is a deep soaker tub with marble tiled apron front in the bathroom and custom wood expansive medicine cabinet. 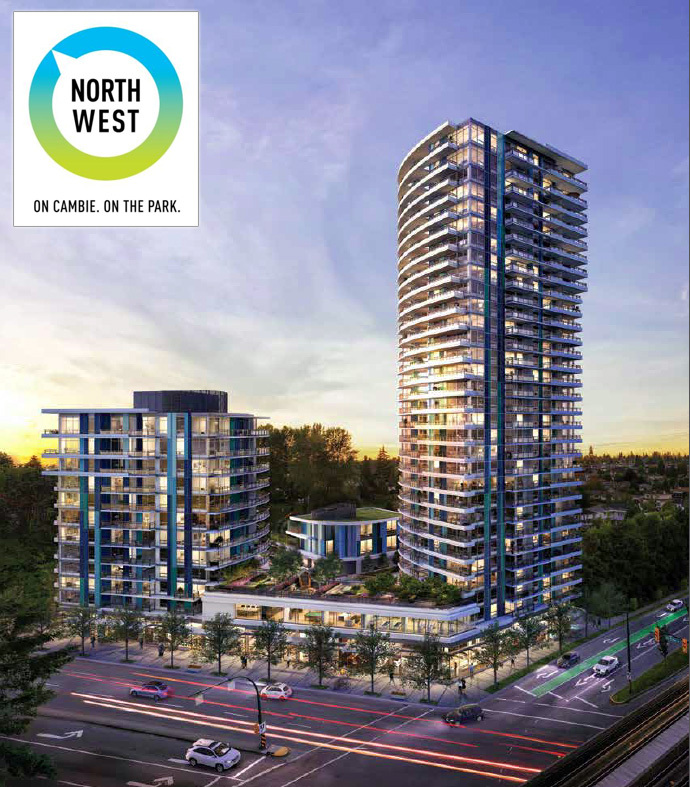 For more details about Onni’s Northwest Vancouver West Side condo project, please register your interest online at www.ilivenorthwest.com today. Or you can stay tuned for the release of more details during their official launch! A brand new Vancouver transit oriented condo community is coming soon! Located just steps away from the Canada Line SkyTrain that can get you to downtown Vancouver within minutes, the new Vancouver Northwest Condos will be situated at the corner of Marine and Cambie in one of the fastest growing districts in town. Choose from a wide array of price points and floor plans as there will be an initial release of 330 apartment residences for sale at the Northwest Vancouver condo project featuring 1 to 3 bedroom layouts. This is a great opportunity to own a new home in the promising and ever evolving Vancouver Cambie Corridor. The actual project site is located at 8180 Lord Street Vancouver (at Cambie and Marine). Presales Vancouver Northwest Condos are anticipated to start in Fall 2014, so stay tuned and register your interest online at www.ilivenorthwest.com. Anticipated presales are for Fall 2014 at the Northwest Vancouver condo project located at 8175 Cambie Street Vancouver. Here, you will find 350 pre-construction Vancouver condos for sale located in 2 landmark residential towers in this ever growing and changing neighbourhood. The high-rises will be 31 and 12 storeys in height and the project itself will include a 10,000 square foot daycare centre and community centre. The presale Vancouver Northwest condos will offer unobstructed views and panoramas, a diverse selection of floor plans as well as being built to LEED Gold standards or equivalent. The location of Northwest Vancouver condo towers is at the north west corner of Cambie Street and Marine Drive, just a couple of minutes from the Canada SkyTrain Line for added convenience. Some of the neighbourhood amenities planned for the next few years include a Cineplex Odeon Theatre, Osaka Supermarket and a Shoppers Drug Mart. Live Westside Vancouver from just $269,900! Coming this Fall is Northwest Vancouver Westside condo project brought to you by Onni developers, one of our favourite master builders known for their high quality finishes, attention to detail and great customer service! Located beside Ash Park Vancouver Northwest condos is the newest community to join the new South Cambie Village neighbourhood. Located directly across from the Canada Line Marine Drive Station at Cambie and Marine, the Northwest Vancouver condos are also just steps away from entertainment, shopping and dining. The project will feature 1 to 3 bedroom homes that showcase panoramic views in all directions. More information is online at www.onni.com. Northwest, located at the corner of Cambie + Marine, is the newest community to join the South Cambie Village and will offer incredible value within Vancouver. Featuring two towers with some of the best views of the Lower Mainland, the presale Vancouver Northwest’s convenient location between Ash Park and the Canada Line Marine Drive Station offers the serenity of park-side living in an urban setting. Cineplex Odeon, Osaka Supermarket, Shoppers Drug Mart, and much more will be opening soon just across the street! On Cambie. On the park. 1, 2 and 3 bedroom homes at the corner of Cambie & Marine. 8180 Lord Street, Vancouver. Wesgroup’s newest transit-oriented community on the Canada Line, offering 1, 2 and 3 bedroom homes at the corner of Cambie and Marine. Register now at: wwww.ilivenorthwest.com. Thank you for your interest in Northwest Vancouver condos, Wesgroup’s newest transit-oriented community on the Canada Line, offering 1, 2 and 3 bedroom homes at the corner of Cambie and Marine. The Cambie and Marine intersection has been redefined as a shopping hub and gateway into Vancouver. 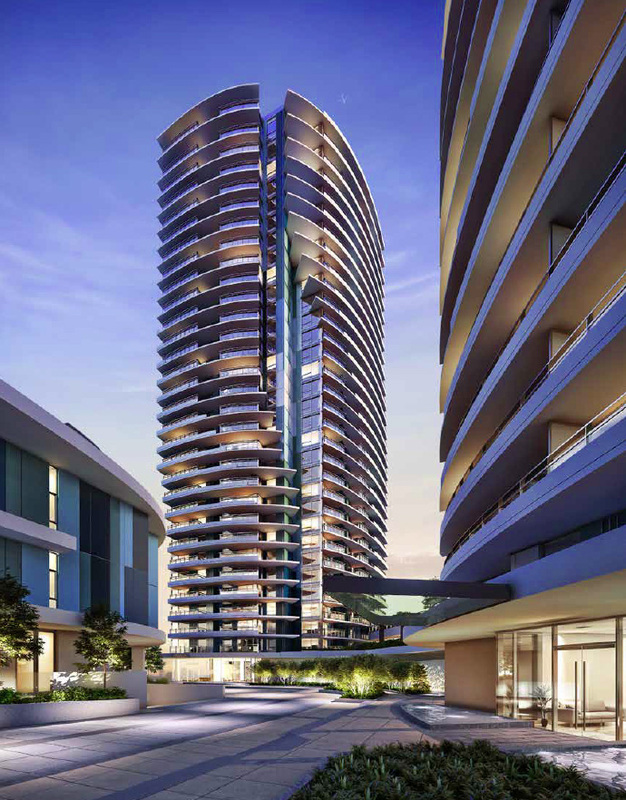 Northwest has been conceived to mark the gateway with 2 architecturally compelling concrete high rises. Live next to park and city! Northwest Vancouver condos lies between Ash Park to the west, and the new urban shopping hub at the Marine Drive Station of the Canada Line, with 470,000 square feet of theatres, restaurants and cafes, grocery and neighbourhood shops. The presale Vancouver Northwest’s West Side location is in the catchment area of two highly sought after and top ranked schools – Winston Churchill Secondary School and Sir Wilfrid Laurier Elementary and Annex. With daycare and Family Place located on site, there is extreme convenience for families.